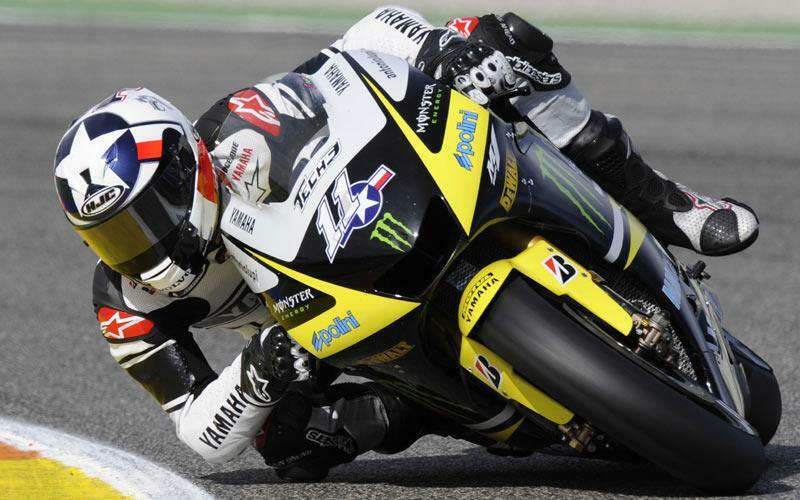 Ben Spies reckons he’s calmed his apprehension about being too heavy to be a serious contender in MotoGP in 2010. The reigning World Superbike champion weighs in at 70kg and will be one of the heaviest riders on the 2010 grid. And Spies, who won a record-breaking 14 races in his rookie WSB campaign, was worried about struggling to compete against a crop of featherweight riders like Dani Pedrosa and Casey Stoner. Spaniard Pedrosa is close to 20kg lighter than Spies, and the Texan thought he would have to embark on a gruelling winter training regime to lose vital kilograms. But after an encouraging Yamaha YZR-M1 debut Valencia in early November, Spies has told MCN: “I was worried in the beginning about my weight and I’ll probably drop a kilo or two for next year. "I’m 70 kilos now and only about three or four heavier than (Valentino) Rossi. I’m on the same bike as those guys but looking at top speeds in Valencia, I might be heavier but I’m quite aerodynamic.